It's Facebook Fridays! for April 5, 2019! This week's offering helps bring Jesus's love and comfort into your heart and home. 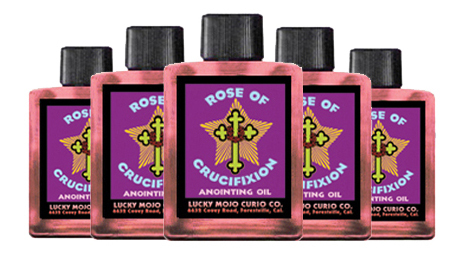 The Lucky Mojo Curio Company is holding a random drawing to give away 8 bottles of hand-made Lucky Mojo brand Rose of Crucifixion Oil to anoint you with Christ's blessings and benediction. Experience "Christ the Comforter" and feel peace enter your life. 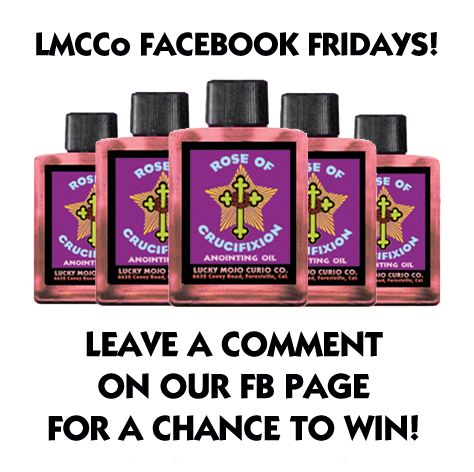 First thing tomorrow morning, we will select EIGHT winners at random, announce their names here, and ask them to message the Lucky Mojo Facebook Page with their mailing addresses, so we can send them their FREE Rose of Crucifixion products. We have a winner! In fact, we have 8 lucky winners! Our Facebook Fridays! winners for April 5, 2019 are: Khadejah Thomas, Dee Douglas, Julie M Perkins, Anita Lynette, Shaunn Reed, Emily Marsten, April Malone, and Autumn Mist.